Now I have the connector and cable loose, they don't leave much spare cable for you cut and crimp the new cables too. I was hoping the cable would protrude through the opening but looks like you have to manage to re-crimp inside the opening. It looks like I'm almost ready to wire it all up, just need to find a day when I'm happy to spend an hour on my knees! Finally got around to fitting the closing door module, so many thanks to everyone that has help contribute to this diy as it has made it much easier to install. Nice one! Care to share further details for the benefit of anyone coming across this? 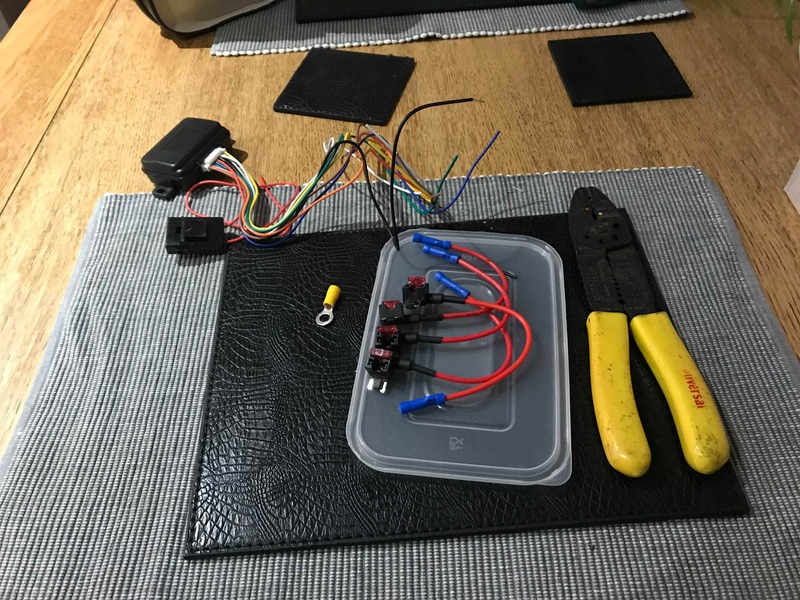 The first post in this DIY explains all on how to install the mirror module and the fuses to use etc. The main difference was that like someone else I also used the fuse piggy back adapters so not to have to wrap wire around a fuse. Here's the link to the module that I purchased and it's installation diagram is the same as the one in the first post. I tried to take a photo after the install but it's not that clear but I've attached it anyway. All it really shows is the four piggy back connectors in the fuse block, the module has a double sided sticky pad and so that has been attached to the left side of the opening access panel, haven't driven the car since I instlled it so I dont know if the cables will rattle or not so I have a tyewrap ready just in case. Remember I already had a few Molex connectors which were used on the cut wires Yellow and Grey which means the item can be removed if it caused issues. Would like to say a massive thanks to Gaffer for writing this guide up! I hope you don't mind me adding my 10 cents to this as I approached my install a little bit differently. 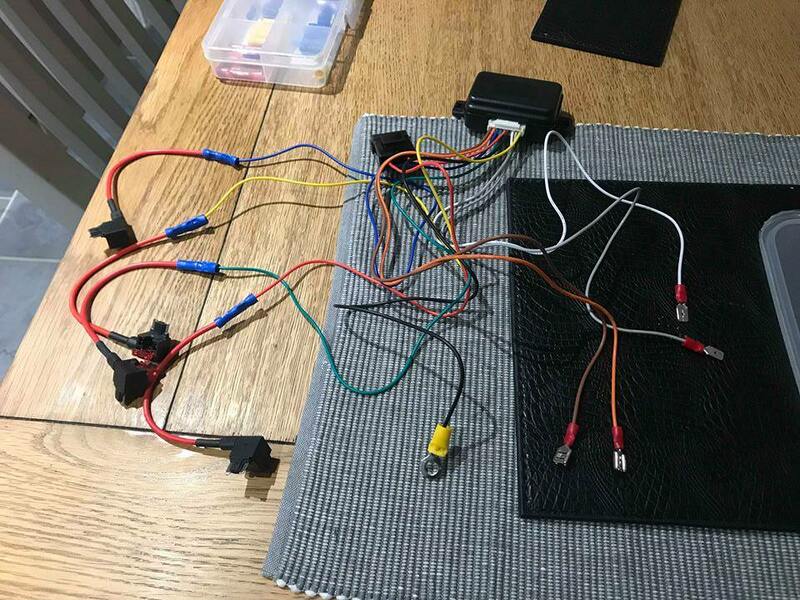 I ordered an identical module from eBay for less than £7, all the instructions were in Chinese so again massive thanks to Gaffer for the write up, I followed the wiring exactly as it's written. 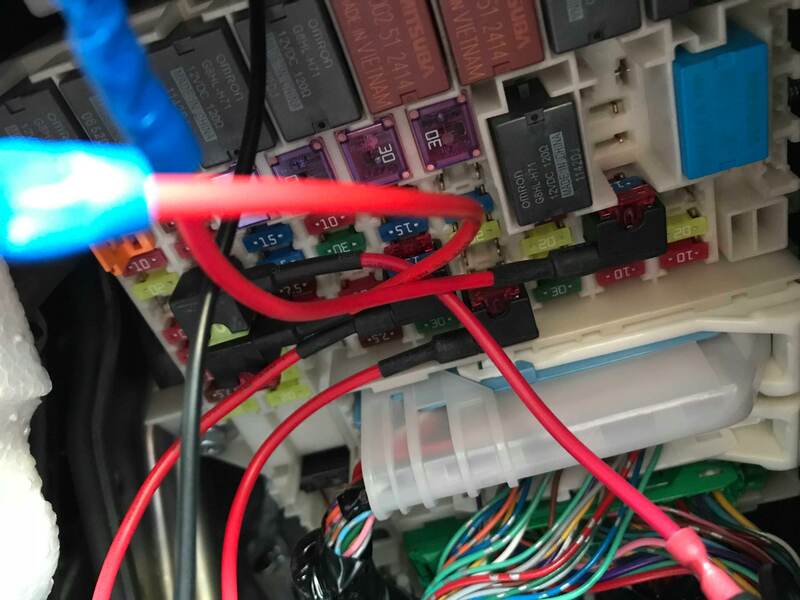 For me though, I decided like some others that I would buy some piggy back fuses to make installing the wires onto the fuse box a little easier/tidier. I also bought a box of wiring terminals from a pound shop and crimped on a circle terminal onto the black ground wire so I could attach it to the ground bolt. I also crimped two male and two female spade clips onto the module, and another two male and two female onto the car wires that you have to cut, so if for whatever reason I decided to remove the module it's just a case of connected the wires back together using the terminals to go back to stock - the pictures should make more sense. And finally here's a picture of the fuse box with all the piggy backs added. Note one of the 5 in the picture is for my dashcam. When you remove the original fuse from the fuse box it's important to add it back into the piggyback, these accommodate two fuses, the original and one for the new item you're installing, in this case the mirror fold module. Nice one, Rhysfjf. I'm guessing that's not the 2016 Mk IV model? The mirror switch is on the arm-rest in the door panel. I never did get round to doing mine because of that. Tempted to have another look at this one day. Afraid not, it was on a 2013 Si model, I'm attempting to help a friend install one on his CR-Z which we hope should be the same process. I'm sure it would be possible on the newer one, might be a bit more of a ball ache running the wires, may even have to extend them? Is the fuse box in the same place on the new Jazz? I'm sure it would be possible on the newer one, might be a bit more of a ball ache running the wires, may even have to extend them? Is the fuse box in the same place on the new Jazz? Yes, I think so. (Never actually seen older models to compare) Although the layout is different and I seem to recall having a problem finding the required mirror/doorlock activation live points. I did attempt to install it in the door paneling, or rather, inside the "arm-rest" bit where the controls, including the mirror switch, sits. 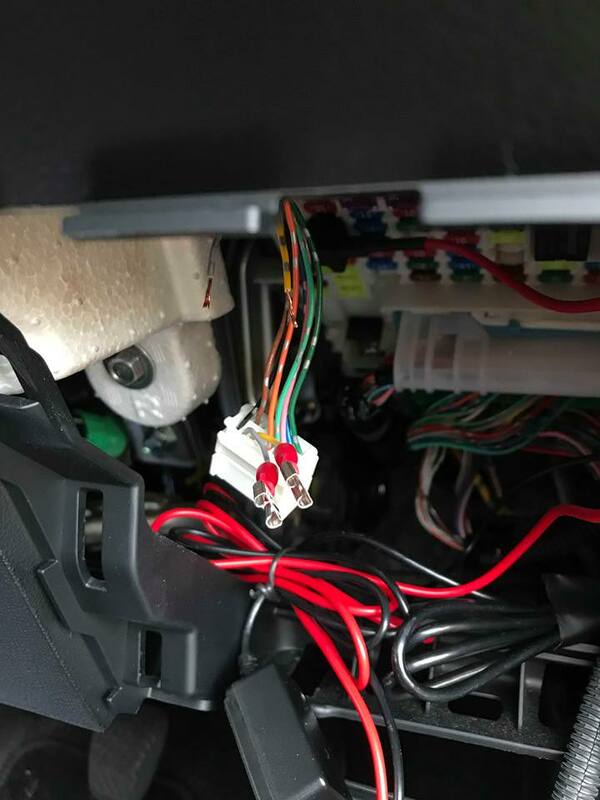 But the problem I found was locating the necessary wiring without, like you say, having to run wires through which I really don't want to do since the car is on PCP Finance and so would be returned eventually. Just done this mod to my 2014 Si. I also had to swap the grey and white wires round at the switch but apart from that it works fine.